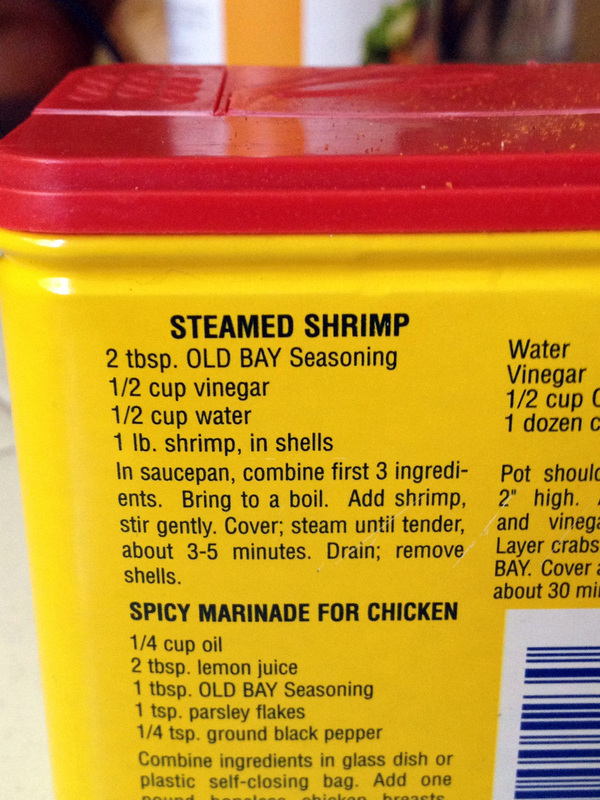 Old Bay Shrimp – GO RAVENS! Today, I’m wearing purple for the AFC Championship game. My nails have been painted purple. I even planned on wearing purple under my work shirt tonight. So when I got a text this morning asking if my breakfast was purple, I felt kind of like I was letting my team down. Last year during the NFL playoffs, I was throwing Purple Brunch and making purple and crab themed food for all of my football loving friends. What can I say, I relate athletic events to food. But I guess I’ve been so caught up in my crazy month that I forgot to keep up the brunch tradition. Sorry, team. Maybe Super Bowl Sunday? After I got that text, I started brainstorming how I could still make my food of the day Ravens/Maryland themed. I had just lent out my food coloring (I know, that sounds weird, but I did), so purple eggs were out. 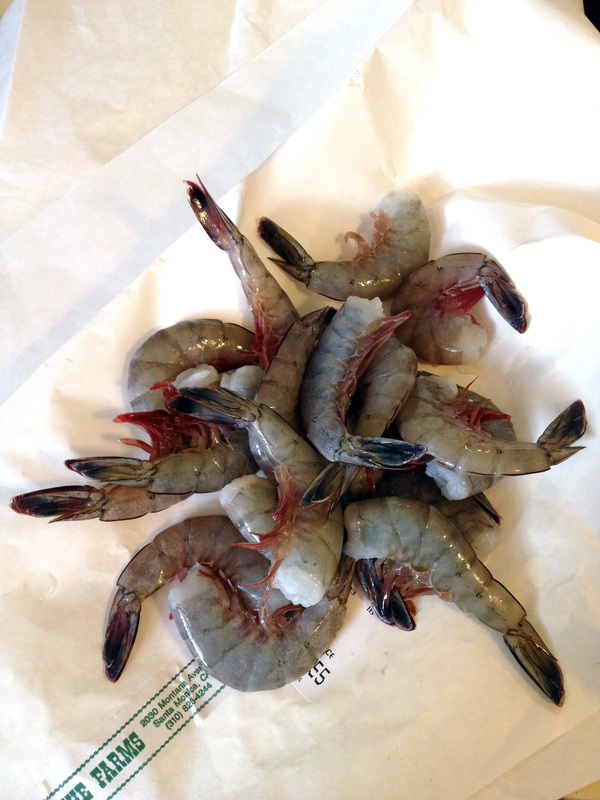 Instead, I ran across the street to the market and picked up a pound of shrimp. 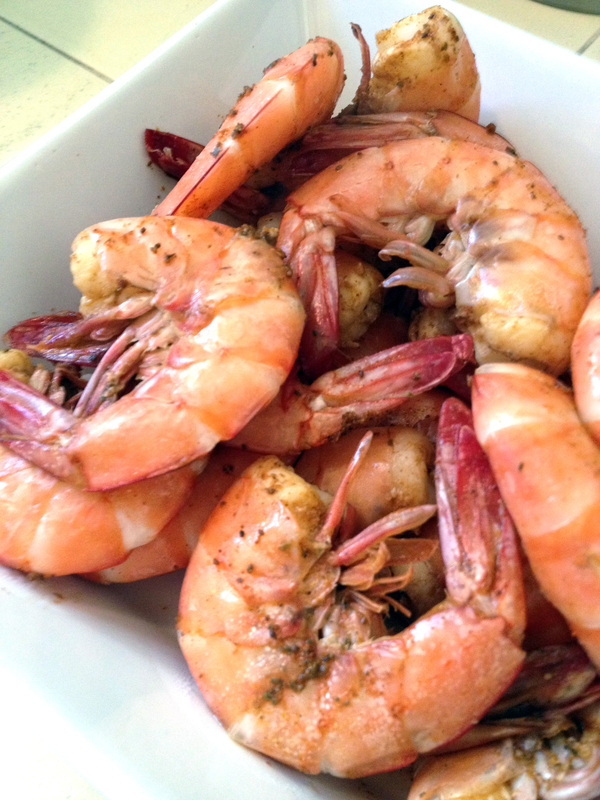 One recipe I can make anytime of year, any time of day, that makes me feel a little closer to home is Old Bay Shrimp. My mom used to make them when we had family parties, and I started making them in college because they took about five minute to make and they only required four easy (and cheap) ingredients. Shrimp, Old Bay, White Vinegar and Water. Even a college student could afford a lot of that. 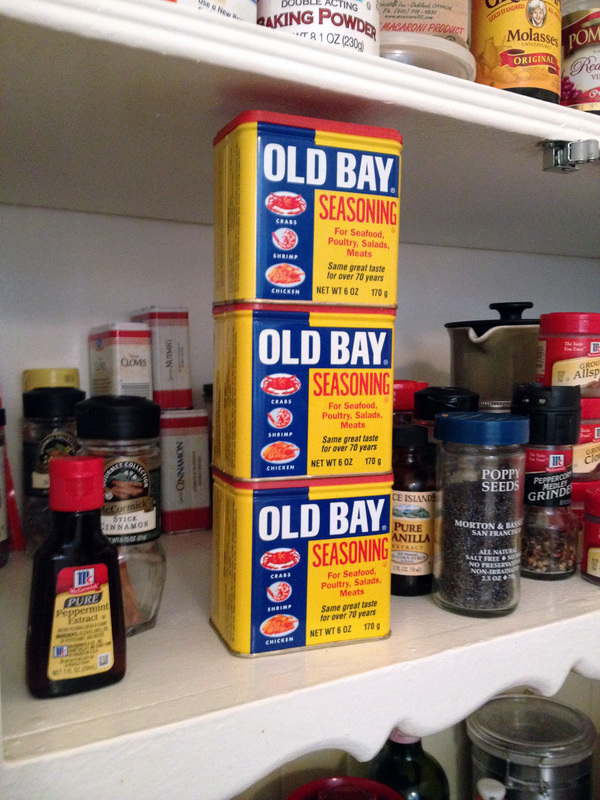 The recipe is just on the back of the Old Bay can. You don’t even have to remember anything. 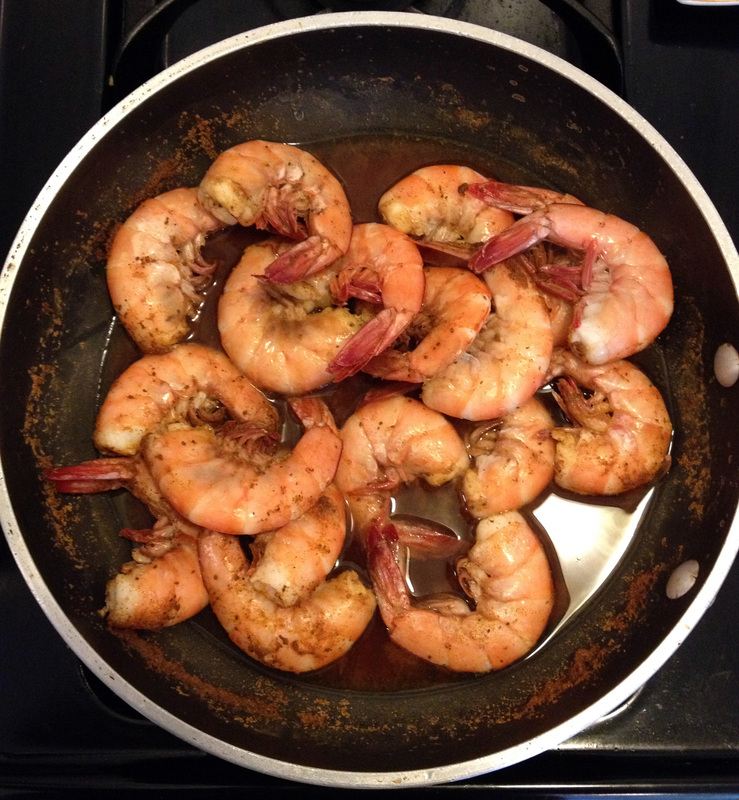 So this afternoon I made myself some good old Baltimore Old Bay Shrimp. I poured myself some sparkling Blackberry juice (it’s purple!) and roasted some purple carrots. 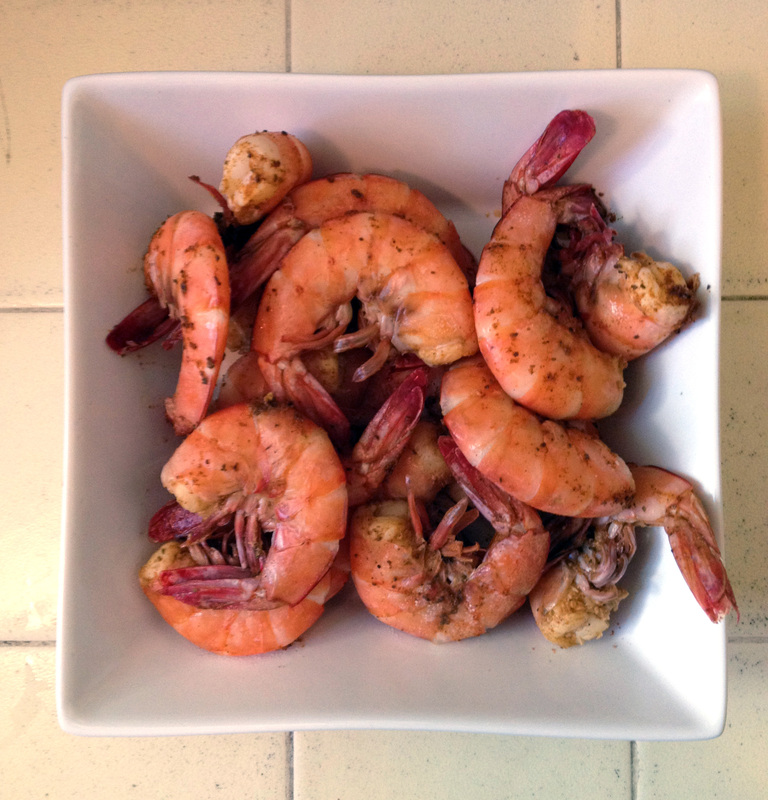 And then I peeled and ate almost the whole pound of shrimp. And even though I have to go to work in a little bit and I’ll miss the game, I have to spread the Baltimore love out to the west coast. 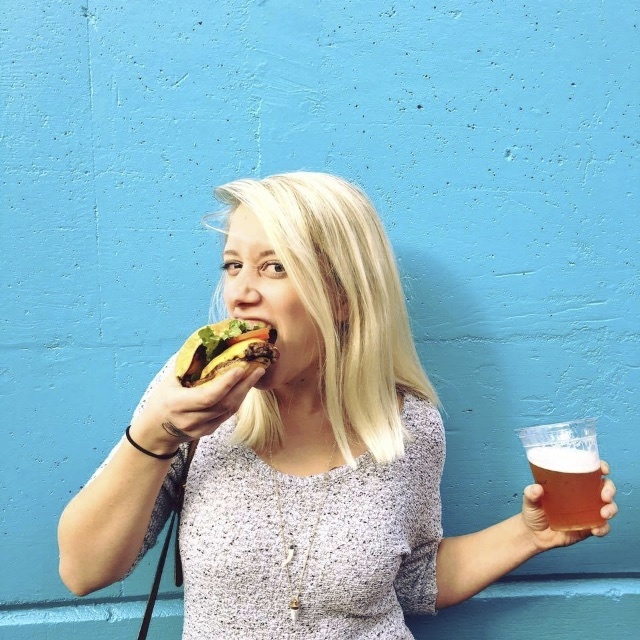 Through food, purple shirts, and nail polish.